"Sashay by the Seaside" features homes ranging from funky to magnificent in and around downtown Gulfport on Saturday, March 2. A stunning private art collection in an architecturally amazing home along with the funkiest, most artsy, upcycled and repurposed house in Gulfport are two of the homes awaiting your visit during “Sashay by the Seaside,” Gulfport’s 14th annual Pink Flamingo Home Tour, Saturday, March 2 from 11 am to 5 pm. The tour begins at the registration area at the Gulfport Recreation Center, 5730 Shore Blvd S. The homes are close enough for walking or biking. For those who prefer or require transportation, the Gulfport trolley will be circling nonstop during the tour. Driving is discouraged because parking is limited on our narrow streets. Visitors can go at their own pace, visiting homes in any order. The tour takes in Gulfport’s waterfront district, so there will be plenty of time to take a lunch break or shop in our historic downtown. Tickets are on sale for $20 at the Gulfport Welcome Center and Gulfport Beach Bazaar, 3101 and 3115 Beach Blvd. S, respectively. They can be purchased online at pinkflamingohometour.com/buy-tickets. Tickets will also be available at the registration area day of the tour for $25. The tour is a fundraiser for the Gulfport Merchants Chamber. 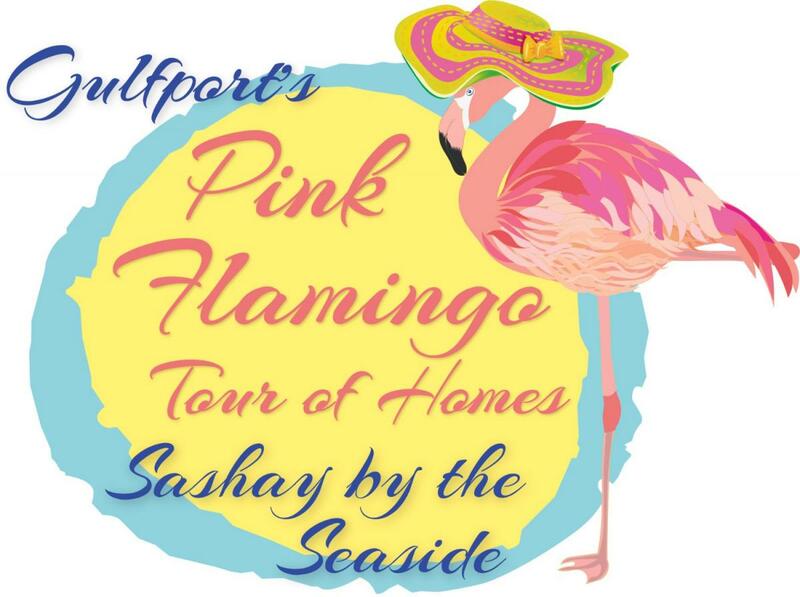 Find us online at pinkflamingohometour.com or facebook.com/GulfportPinkFlamingo. For more information contact Caron Schwartz, 303-641-5489 or msschwartz4@live.com.